Click here for MIP of Maroua Entrance 2019-2020 first year in Bachelors and Masters University of Maroua. The application form can be downloaded from here! 2019-2020 Concours IMIP of Maroua: 3rd year Masters in Engineering degree. – Law No 005 of 16 April 2001 on the orientation of Higher Education. – Decree No 20111408 of 9 December 2011 to organize the Government. – Decree No 2011/410 of 9 December 2011 to appoint the Government. – Decree No 2008/280 of 9 August 2008 to create the University of Maroua. – Decree No 93/027 of 19 January 1993 to lay down the general provisions governing Universities, modified and completed by Decree No 2005/342 of 10 September 2005. – Decree no 2008/281 of 9 August 2008 on the administrative and academic organization of the University of Maroua. 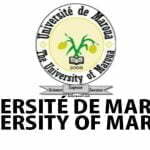 – Decree No 2008/458 of 29 December 2008 to appoint the Rector of the University of Maroua. – Decree No 2012/433 of pt October 2012 to organize the Ministry of Higher Education. – Decree No 2012/33 of 29 June 2012 to appoint a Vice-Chancellor and Rectors of some State Universities. – Decrees No 2012/365 and 2012/366 of 6 August 2012 to appoint officials in State Universities. – Decree No 20 13/0891/PM of 12 March 2013 to appoint officials in the Ministry of Higher Education. – Decree No 2013/333 of 13 September 2013 to create Establishments in the University of Maroua. – of order No 19/00054/ MINESUP /SGIDAUQ/ SOEAC/SE of 27 February 2019 to organize the calendar of competitive entrance examinations into Faculties, schools and Institutes of Cameroon State Universities for 2019-2020 academic year. 2019-2020 Concours IMIP of Maroua: 3rd year Masters in Engineering degree. 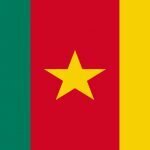 – of the entrance examination into establishments of State Universities in Cameroon for the 2019/2020 academic year. – Upon the proposal of the Rector of the University of Maroua. The competitive entrance examination is organized in a single session for Cameroonians of both sexes and who are holders or the bachelor in physics, in mathematics, in geology, in chemistry, in economies, in management, in geography, in plant biology, in biochemistry, in technology or Bachelors in Engineering degree for one of the series available in the Faculty of Mine and Petroleum Industries (FMIP). LIRE: Results into the admission in regularisation DIPES I, candidates to the Secondary School Teachers' Diploma Grade I ( DIPES I ) of the Higher Teachers' Training College of the University of Maroua, for the 2011/2012 academic Year. AGE LIMIT IS 30 YEARS. Please any past questions on IMIP Maroua? Hello Steve! This is for the 2014/2015 session which has already passed. The concours was already written and the results where out some couple of months back. Hello please give precise information on the written part of the examination.